Our Boyne Valley trip with Michael was a highlight of our trip to Ireland. A perfect day trip from Dublin. Michael is extremely knowledgeable, friendly, and courteous. He also got a good read on our small group right away and conveyed the perfect level of detail about each attraction. Newgrange, Monasterboice, and the Hill of Slane were wonderful. We had time for Trim Castle at the end of the day, and highly recommend making time for that. And highly recommend Michael. This was our third toursbylocals tour. This was everything we expected. He was extremely knowlegeable, accomadating and congenial. We had a wonderful day. We would highly recommend him. Michael is an excellent guide, and we thoroughly enjoyed our private Wicklow tour with him. Michael made great choices of places at which to stop, perfectly in line with the interests that we had expressed in advance. His vehicle is in perfect condition and extremely comfortable. Michael is very personable, and was able to tell us a lot about Irish life and culture. 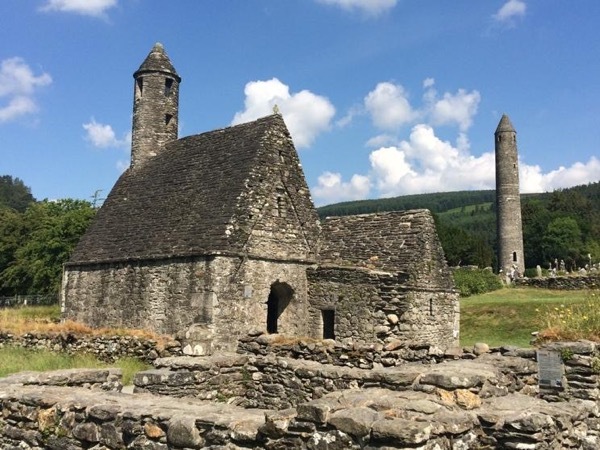 Wicklow is a very scenic area to visit, and we think it is unlikely that you could find a better guide to show you the area. My daughter & I had the best time with Michael!! We booked a last minute trip to see the Cliffs of Moher. He was very quick with communication, right on time & a pleasure to spend time with. Perfect tour guide. We will always remember our lovely trip! Very Nice person! Great guide! But he replaced our guide at the very last minute so sometimes he did not have the needed knowledge for this specific itinerary! We had a great day with Michael great scenic coast view! Michael was a fantastic guide and we enjoyed the day very much. He was very knowledgeable about all the many sites we visited. We never felt hurried or rushed and Michael selected a very nice place for lunch that we thoroughly enjoyed. We can recommend him without reservation. We also highly recommend this tour -especially the site of New Grange. Definitely a must see. The tour exceeded our expectations! Besides the posted itenerary, Michael worked in additional points of interest, even stopping for a walk across a 16th-century bridge that spans the River Boyne. An unforgettable experience! Michael was great! We toured for 3 consecutive days. He was kind, patient and willing to please. My husband and I couldn't be happier! Thank you, Michael! Michael did an excellent job for us, balancing the history and the beauty of the Boyne Valley. His knowledge of the places we wanted to see and the events that took place there were excellent. And he pointed out some of the birds of the area that were of interest. He knew a great place for lunch, and he kept us comfortable during our time together. I highly recommend him as a guide for anyone visiting the Boyne Valley. Michael is amazingly knowledgeable, accommodating and pleasant. Such a terrific guide!!! We were pleasantly greeted by Michael. His car was immaculate & very comfortable. When he found out we had ties to the College of William & Mary, he added additional info & a few extra stops pertaining to them. At each stop, he escorted us personally through the site providing history & context. Toured historical sites that spanned 1000s of yrs, saw beautiful countryside, & felt safe in his care. We appreciated his expertise & enthusiasm for the history of his native region. We highly recommend Michael! If you are interested in the Boyne Valley, Michael is your guide. He was born and still lives there, very proud and knowledgeable about all of the sites. We found him a great person to spend the day with, flexible with the tour, and very helpful with any questions we had. Our best guide yet and we use tours by locals whenever we can. Michael worked hard to make the tour a pleasant, educational experience. We were all very pleased. Michael was great (nice, professional, charming, and informative). We loved the Boyne Valley. This was a great tour that covered a large period in history, from 5000 year old Newgrange to more recent structures. Michael was a great source on the history. Highly recommended! A fantastic day! Our day spent with Michael was a special treat. He is from the Boyne Valley area which meant his knowledge of the area is firsthand. He was very thorough and he modified the tour to meet our interest. We were even brought to his home for a visit with his wife who does amazing artwork using fibers. Michael made a comment that he was "following his bliss" as a tour guide. We really enjoyed being with Michael. I highly recommend him. Michael provided us with a fun and informative tour of the Boyne Valley. His knowledge of all the places we stopped at was incredible. His candor about the people we met along the way was refreshing and honest. Thanks for the visit to your brother's home, a stop my daughter really enjoyed. My father and I really enjoyed our Boyne Valley tour with Michael. His extensive knowledge of the area is impressive and he patiently answered our questions/listened to our theories of the Stone Age sites. Based on our specific interests he did not hesitate to customize the itinerary without compromising the quality of the tour. The Boyne Valley tour by Michael was certainly a memorable experience! Michael did a great job on our tour. He picked us up from our cruise ship and we discussed some changes that we would like to make to our day. He listened and the three of us discussed some options that would make our day one that we would love and remember. We had a great day, dodged some bad weather at the Cliffs of Moher and could have not ask for a better experience over all. A big thanks to Michael for a day to remember! Michael was very good at showing us the things that he wanted us to see. The countryside was beautiful and we really enjoyed the trip to Glendalough. He was very informative about the history. At Powerscourt gardens he let us explore on our own. I was impressed that he took us to see a movie about the house. I had looked forward to visiting the inside of the house and did not know about the fire. The Powerscourt Waterfall was the best part of the day. We would have liked more time in Dublin though. Very good tour of the Boyne Valley! Michael was prompt, informative, and had a good plan for the day. We arrived in time for the first tour of Newgrange, and then took in the other major sites, finishing up around 4:30. Michael has a very nice vehicle which makes touring a pleasure. Micheal was outstanding. He planned the trip well to maximize our time and was able to call ahead to various sights to check on timing or make reservations. He was very knowledgable about history and about the sites we saw. The day was enjoyable and educational. Highly recommended. We got much more out of the day than if we'd tried to do it on our own. Michael provided us with very nice options during our tour in this beautiful area of Meath. He was knowledgeable and well-versed on the questions we raised on historical and contemporary Ireland. My sister and I recently took a tour of The Boyne Valley in Co. Meath, Ireland with Michael as our local guide. Michael was very knowledgeable about the sites we visited. He was also very patient with two very senior citizens (us). Michael took us to places that we wanted to see as well as making certain that we saw local color and culture. We both would rate Michael as high starred as possible and we would highly recommend him as a local tour guide to anyone visiting his area. Micheal was an excellent guide for the Boyne Valley. Well organized, excellent historian. We recommend him to anyone who does not drive, but wants to see a lot of Ireland north of Dublin. Date above was changed to April 17 with no problems.He picked us up and delivered us back to our Dublin hotel in busy traffic with no problems. Great tour guide! I had never used the tours by locals. I have to say that Michael was really awesome. Although we had limited time, he tried to show us as much of his beautiful Ireland as he could to us. We really appreciated his tour and if we ever get back to Ireland I hope we can take one of his tours again. This is a great tour! Michael's knowledge of the area was extensive and the best part were those little out of the way places we were able to visit that we wouldn't have know existed if it weren't for Michael. As he got to know us he would make suggestions for places he thought we would like to see in addition to the other sites. By the end of the day it felt like we had made a friend, not just spent the day with a tour guide. The Boyne Valley is a must do and you won't find a better guide than Michael.